Blake, Cassels & Graydon LLP (Blakes) is an elite business law firm with a legacy of unparalleled legal services. 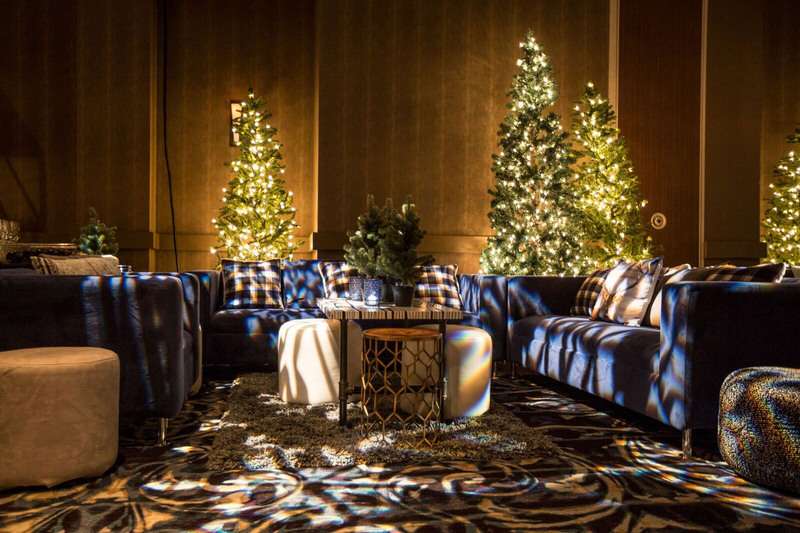 With an employee demographic as diverse as their client list, Blakes’ “Canada-themed” holiday party needed to simultaneously honour the traditional, and capture the progressive. To meet this challenge, the One True North theme was created to dually represent both the timeless northern forests and traditional symbols of Canada, and the symbolic sense of home and inner compass that guides a modern generation of Canadians. 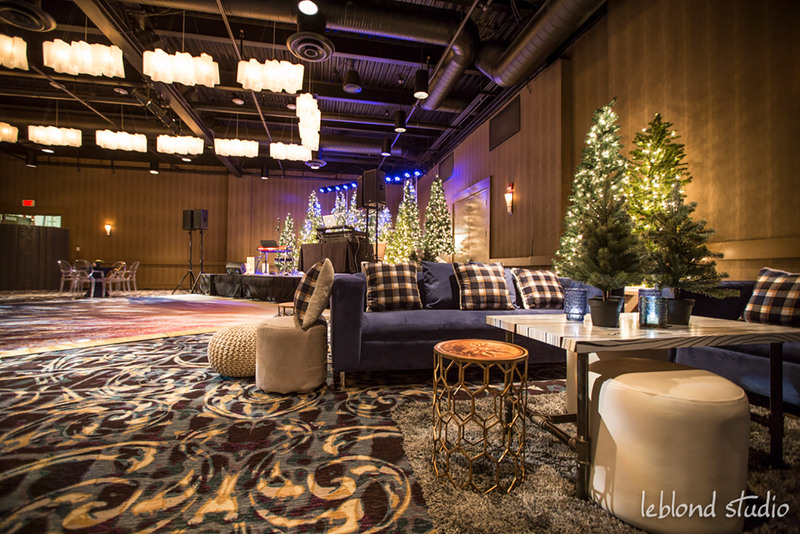 We combined cocktail and communal tables, spread food stations throughout the space, and placed the dance floor and stage area in one corner, to create a natural flow in a tricky L-shaped ballroom. 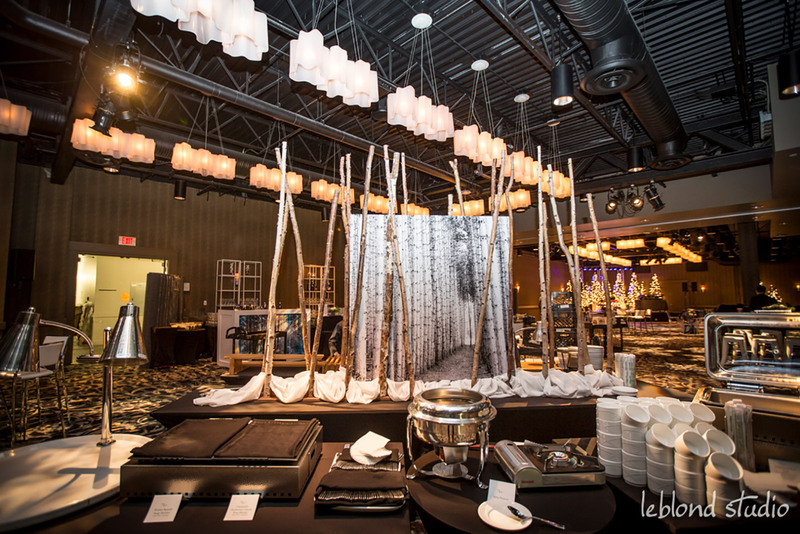 Lit-up fir trees ringed the stage and seating areas, and food stations featured birch tree divider walls. 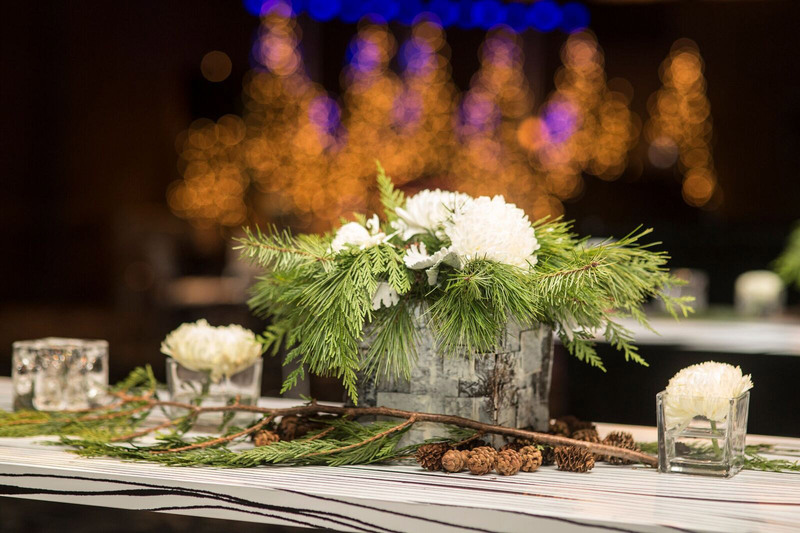 Tables were decaled in birch tree graphics and centerpieces featured tiny fir trees, birch bark vases, and fresh pine and cedar boughs. 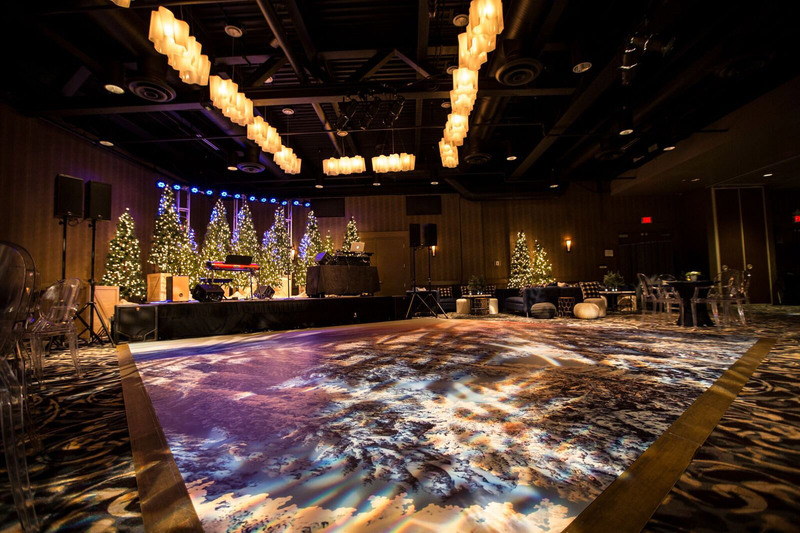 Even the dance floor was decaled with a massive aerial shot of a northern forest – a stunning final impact that was preceded by hours of painstaking preparation and installation. 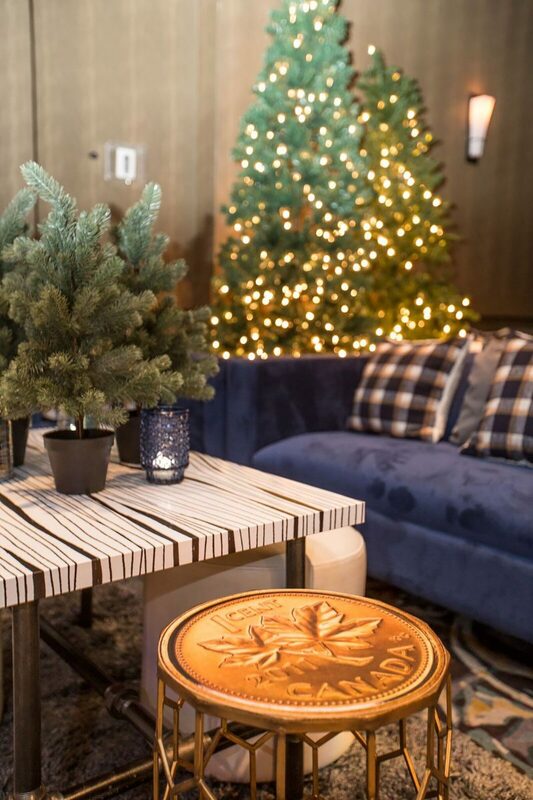 In what proved to be a favourite feature for many guests, a giant Canadian penny topped side tables in plush seating areas, carefully arranged to bring guests together. Another guest favourite was the custom-built scenic photobooth. 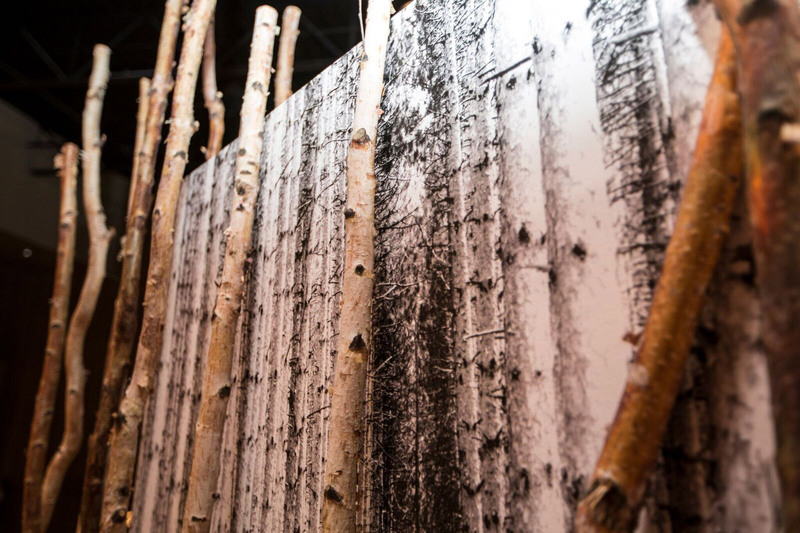 The set was constructed from scratch after weeks of design mock-ups and meetings with our photographer to finetune the concept before sizing and producing the forest backdrop and layers of custom laser-cut trees. After the final structure was assembled onsite, the floor of the set was filled with mounds of faux snow (packing peanuts). 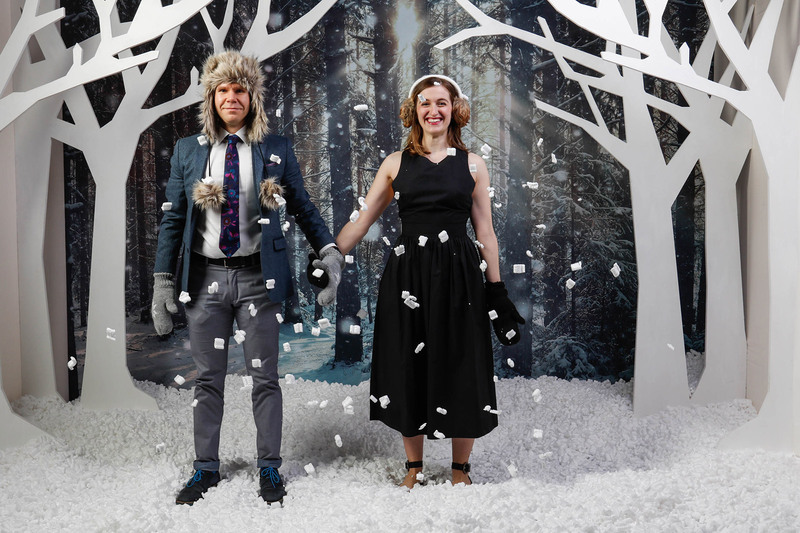 Props such as earmuffs, mittens, and scarves were provided to make the experience interactive, and the end result was a sophisticated, share-worthy experience. 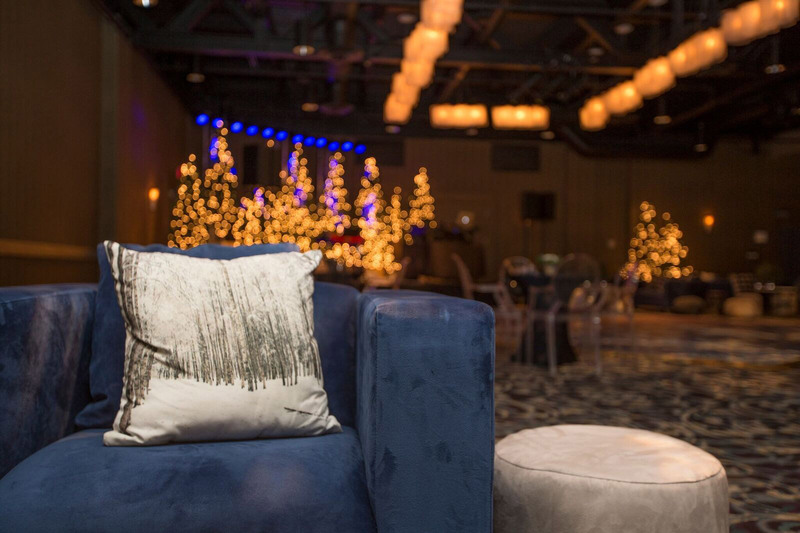 The visual impact of the event was immediate upon entering the space, with twinkling lights, large décor elements, and inviting seating areas. 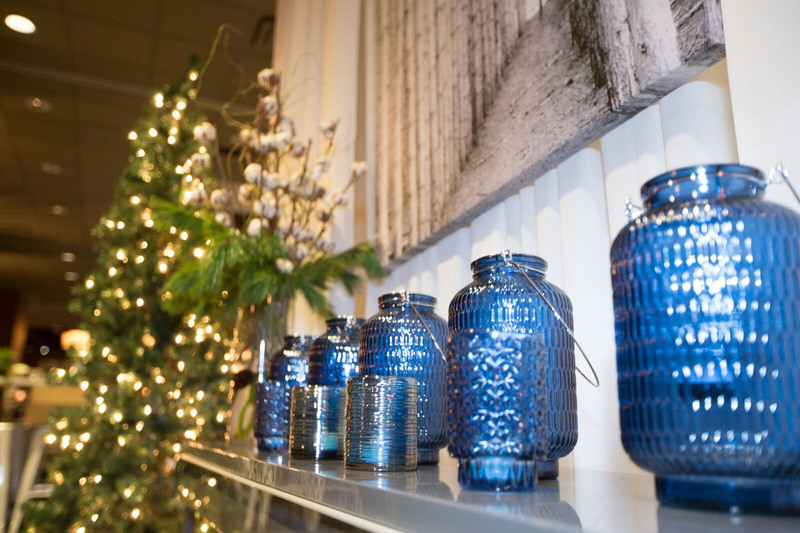 Once inside, every detail was fully incorporated into the theme. 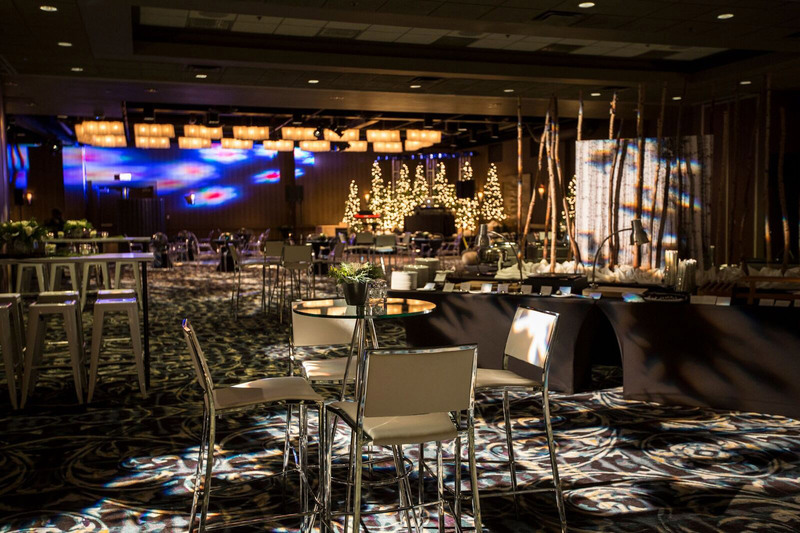 The photo on the dance floor was used in marketing collateral for the event, and a branded hashtag, #OneTrueNorth, allowed guests to share and explore throughout the evening and in the weeks following. 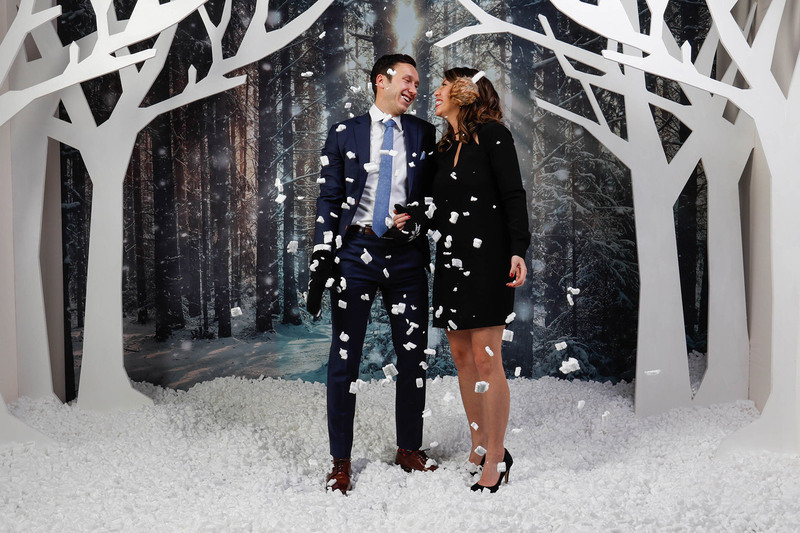 With so many photo-opps, including the dramatic photobooth, the client saw a drastic increase in photo-sharing on social media. 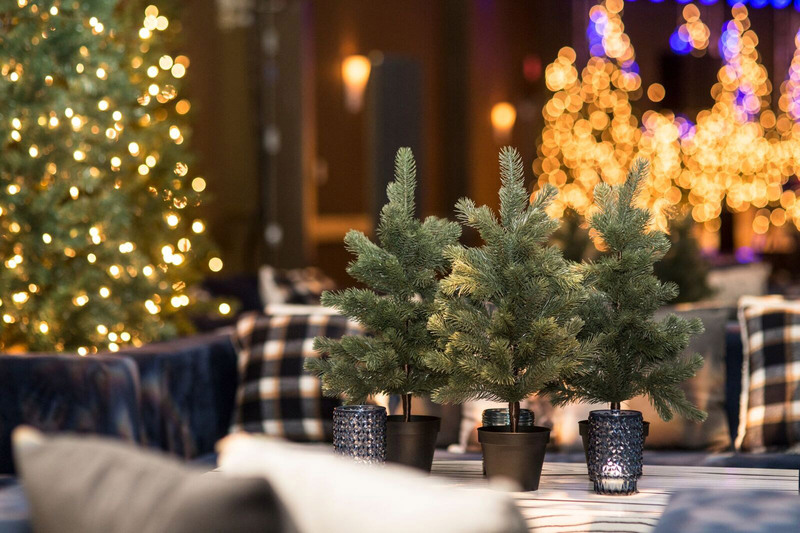 Feedback revealed that guests were blown away by the transformation of the event, and we were honoured when our client expressed their satisfaction by sending us a glowing letter of recommendation.